Compressed lucerne hay mini bale. Rough Fibre contributes to good dental health. 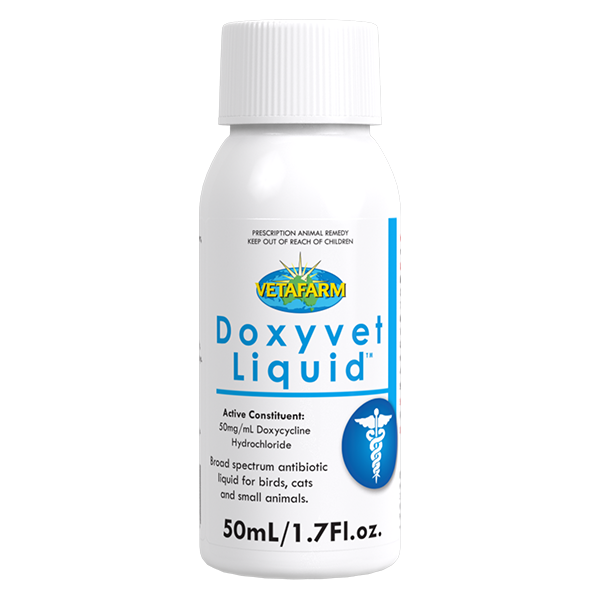 Stimulates and contributes to a healthy digestive system. Cut and baled fresh in the Riverina region of NSW. Higher in protein than fescue and more suited to guinea pigs. Stimulates natural grazing behaviour. Guinea pigs as a rich source of fibre and protein. Also suitable for rabbits as a dietary supplement. 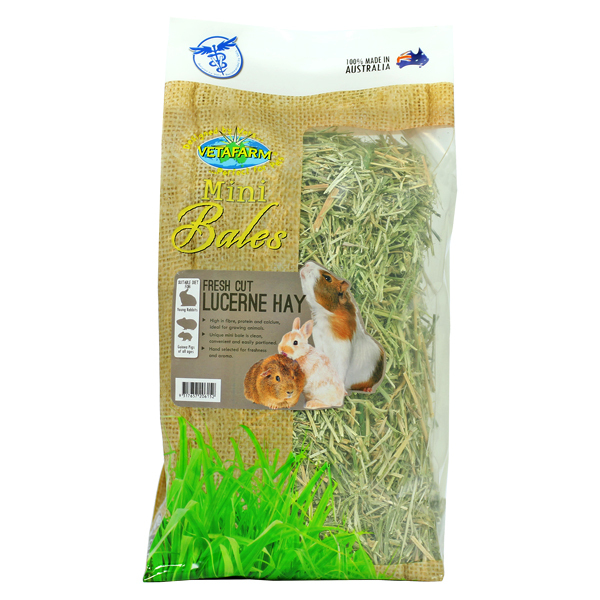 Supply as a free choice food for growing rabbits and guinea pigs. Small amounts may be made available to adult rabbits. 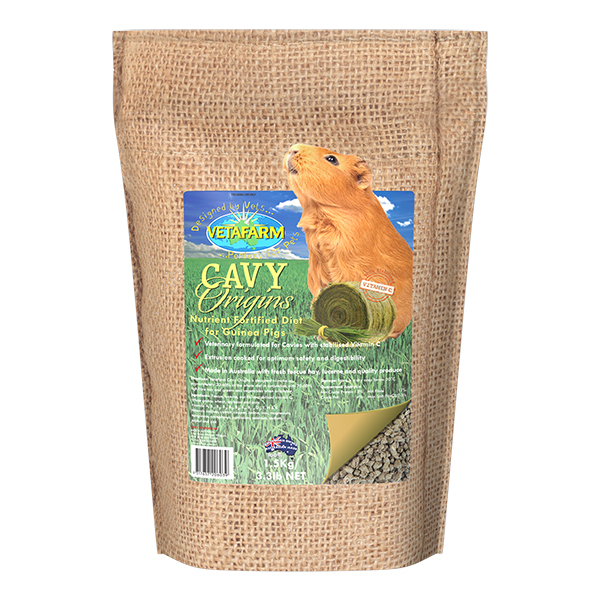 Completely balanced extruded pellet diet designed to meet the particular dietary needs of pet and breeding guinea pigs. 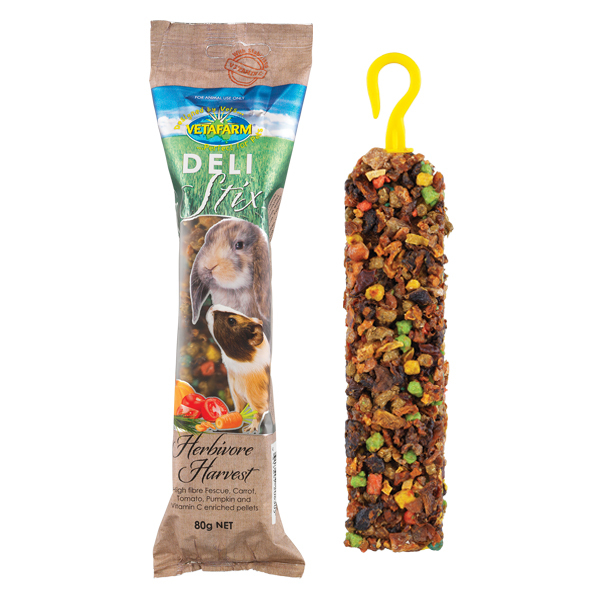 Deli-Stix Herbivore Harvest is a healthy functional treat for small animals.